Studio Black Delta deployed the first KartKraft update for 2019 including the first Beta code to add VR support to the game. The new update supports VR and WMR headsets via SteamVR or the Oculus runtime for those with Rift headsets. Furthermore, Studio Black Delta implemented the second iteration of the physics model with improved force feedback, and claim to have succeeded in improving game performance across the board by 15%. The Early Access version of KartKraft is now available on the dedicated Steam Store page at a special 10% discount launch price of 15,29€. VR support (beta) – You can now use VR and WMR headsets via SteamVR or the Oculus runtime for those with Rift headsets. 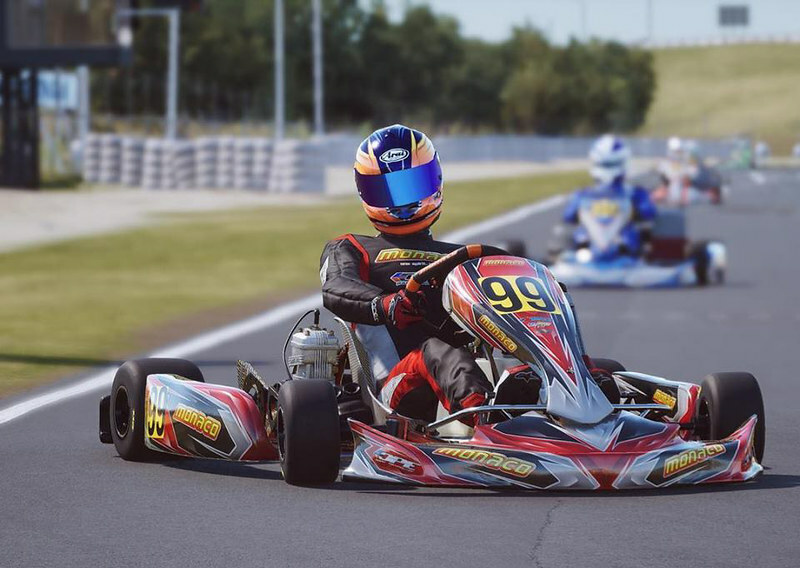 Although there is still much to add and improve, VR is a first-class citizen in KartKraft and will get as much focus as there has been on the rest of the game. As such, we want to hear your feedback on what you like, what you don’t, and what you think is missing. As a starting point, we recommend adjusting the graphics preferences until you achieve a stable view and high framerate before playing. VR view reset is mapped to triangle on most controllers by default, however, you can rebind this in the input preferences. This build comes with the first major physics iteration since the release of KartKraft. Several bugs were identified and fixed, resulting in increased stability, less understeer and smoother FFB. Leaderboards have also been reset, given these changes.